Camilla and I were on the road when I remembered this song and thought it would be a good one to record. 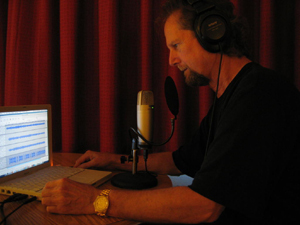 I used my iBook and free cross platform software called Audacity along with my Samson C01U USB microphone. This is a great mic for the road because you don’t need an interface of any kind to record. You just plug into the USB jack and you’re good to go. Well who those children [G] dressed in [Am] red? Nowl who those children dressed in black? Well who those children dressed in green? Well who those children dressed in white?